Imani Shakur is a film director. The fact that he currently lives in the movie capital of the world is a great thing. 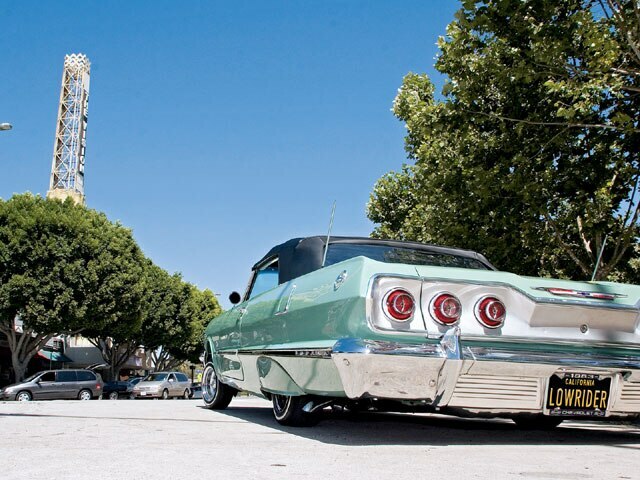 It’s also the lowriding capital of the world. 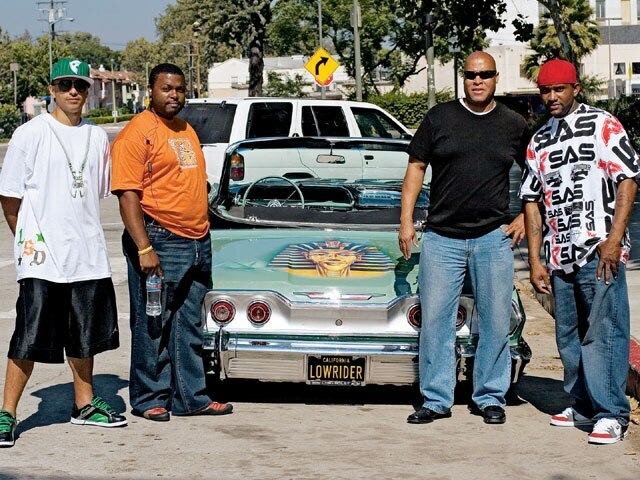 In his ’63 Chevy Impala convertible, he has managed to combine both his love for film and lowriders into one project. Imani found this car in pretty sad shape in Ohio. A true rust bucket, it was rusted from bumper to bumper, but for some reason that had a strange appeal to Imani. The thought of taking this seemingly unrecoverable vehicle and making it a head-turner got the director in him thinking. It’s the same rush that he gets from taking a script from its birth, planning and shooting it, then seeing it on the screen. 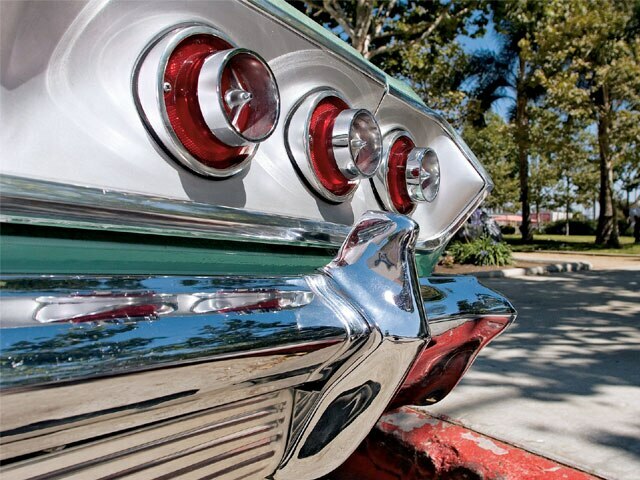 Combine that with the fact that Imani has been into lowriding since his teens and always wanted a classic Impala, and you have a recipe for success. The car was going to be part of a movie that Imani wrote and is directing so it had to be camera ready, and for that he went to Kevin Smith. 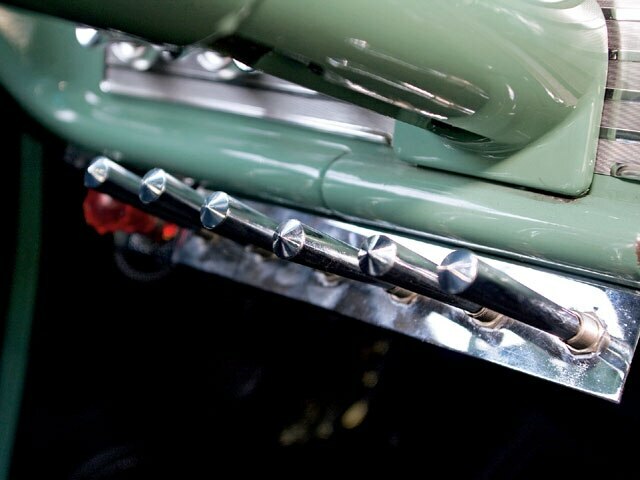 Mr. Smith is known for his quality restorations and the car would be able to stand up to close-ups and the like. 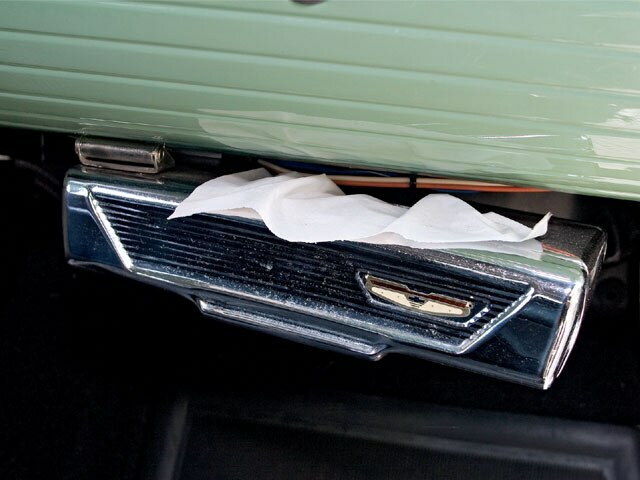 A ’63 four-door was also purchased for a donor car and the work began, replacing all of the rusted-out parts with the donor car’s parts, and soon the car was whole once again. In addition to that, the car was used for a new television show that he directed at Red’s Hydraulics about how to build hoppers and show cars. Imani expects the film to be out in the fall of ’08. 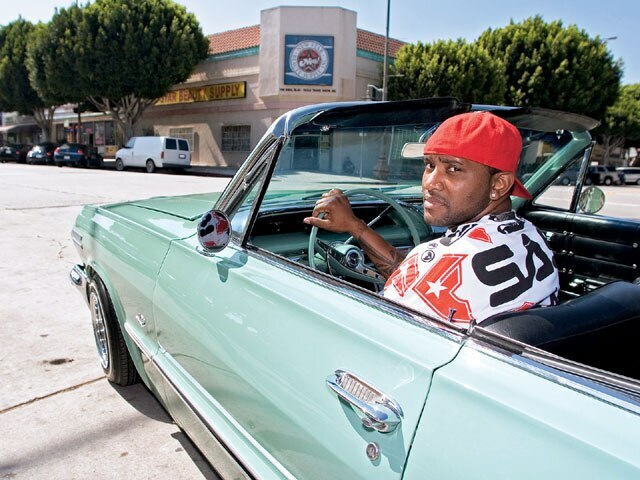 With all of the exciting things that Imani has going you can be sure of one thing, he’ll still be enjoying his Sara Lee ’63 on Crenshaw on any given Sunday. If you want to check out a trailer of the film go to www.isentertainmentgroup.com. 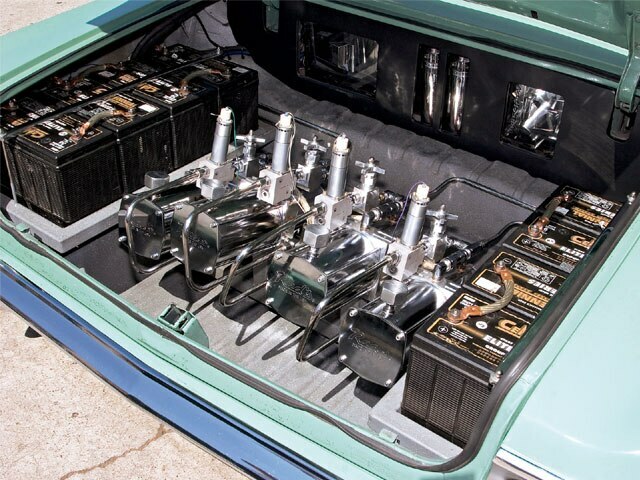 Engine/Drivetrain: ’84 Chevy 350-c.i.d. 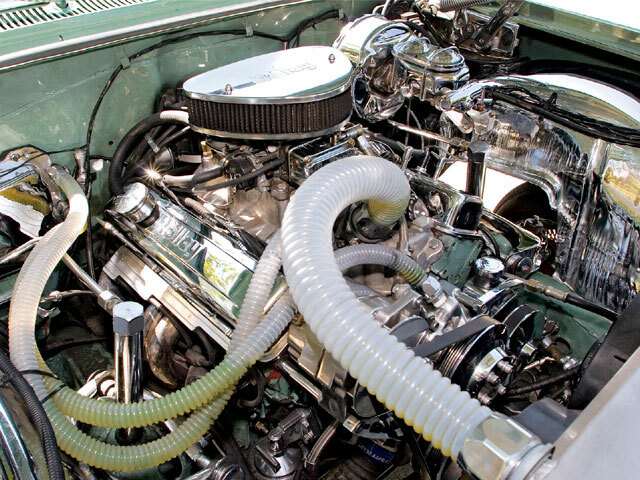 4-bolt main with Holley carb, intake and exhaust; Rod Davis racing radiator; 700 R4 transmission and Custom Clear hoses. 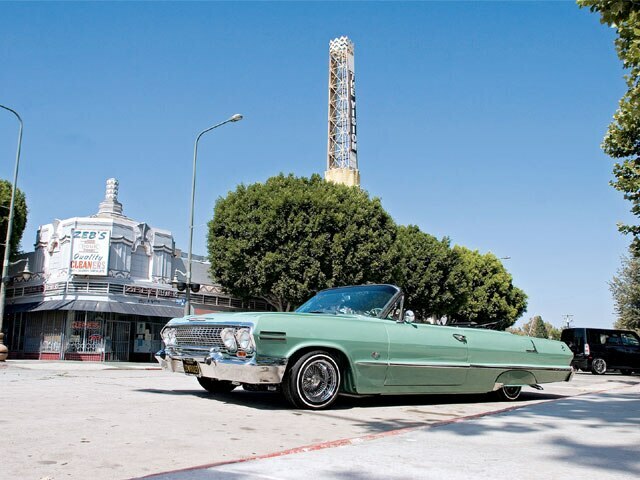 Body/Paint: DuPont Chromabase Classic Verde Green paint was sprayed by Walter Hernandez at West Coast Auto Body in Lynwood, California. 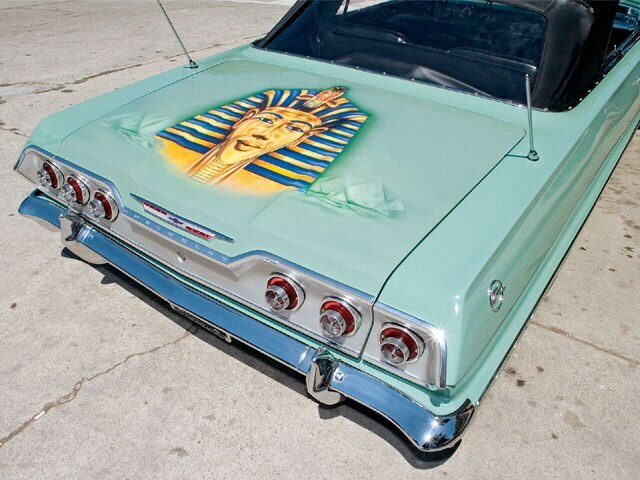 Trinidad Hernandez handled the bodywork and the murals were painted by William Sheffield of Flatline Design in Long Beach, California. Interior: Jesse Flores of Flores Upholstery in San Pedro, California, installed a classic black upholstery kit. 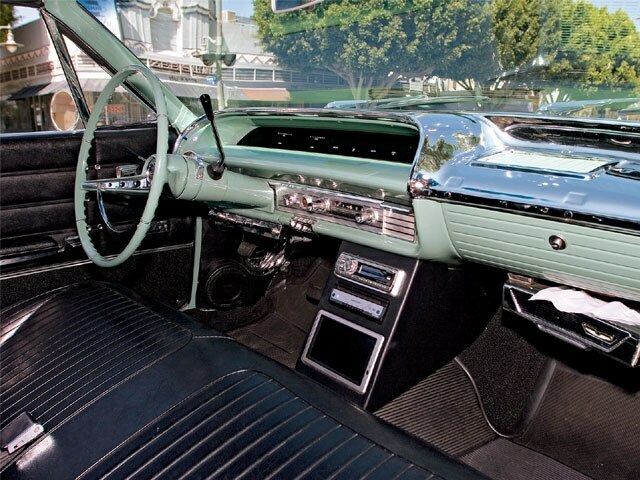 The interior also features a custom center console, power windows, factory flasher and Dakota Digital dash. 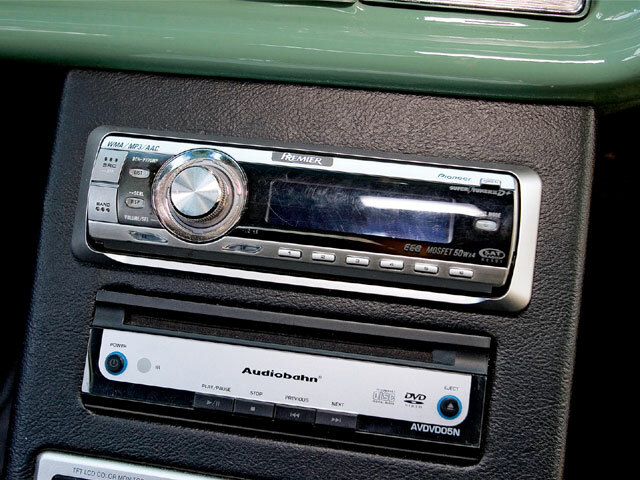 Sound System: A Pioneer head unit with Audiobahn monitor/DVD player, tweeters, mids and subwoofers powered by Audiobahn amps and capacitors was installed by Alonso Valenzuela at Evolution Motorsports in Los Angeles, California. Setup: A Red’s four-pump setup featuring four Adex super duty dumps, 8-inch (front) and 12-inch (rear) cylinders, six switches and eight batteries was installed by Tui and Kevin Smith at Red’s Hydraulics in Lynwood.